Many drivers know the important steps to take after a car accident, such as moving your car off the road if safe to do so, exchanging information with the other driver, and calling 911 to transport victims to the hospital as quickly as possible. However, it is just as important for drivers and passengers to know what NOT to do after a crash, as failing to take proper action can affect both their health and their injury claims. It’s hard to think clearly in the days after an accident, especially if you are struggling to recover from the physical and emotional effects of the crash. Our attorneys have compiled a list of potential mistakes to avoid in order to help victims cope with unforeseen problems, taking them from the moments after a crash to the day they receive compensation. Neglecting to call the police. While exchanging phone numbers and contact information with another driver is a good idea, it is often not enough to obtain proper compensation. Not only can negligent drivers lie about their identities or insurance coverage, you will not have an official report of the accident if police are not called to the scene, depriving you of vital evidence if you pursue an injury case. Admitting fault. Many people instinctively say “I’m sorry” after a crash. It’s understandable, since victims may feel vulnerable, embarrassed, or are simply in shock. Unfortunately, apologizing at the scene can be taken as an admission of fault, and can be used to deny or reduce a victim’s injury claim. When speaking to a police officer or the other driver, stick to the facts and try to stay calm. Waiting to see a doctor. It is always a good idea to visit the emergency room after an accident, for two reasons. First, a doctor can examine you and identify any conditions that could be life-threatening if not treated immediately. Second, it creates a medical record of your condition hours after the crash, making it harder for an insurer to claim that your injuries were not related to the accident. Putting off filing an injury claim. Most insurers have a time limit on when an insurance claim must be filed in order to get compensation. It is usually best to report the accident to an insurance company as quickly as possible, allowing the insurer to open a claim and give you a claim number so you can follow up. Giving recorded statements. 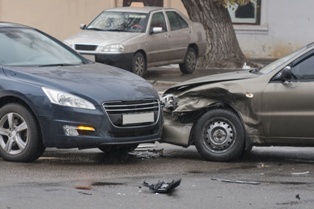 Insurance agents may call you in the days after the accident to request a statement. While this allows them to gather the details they need for the claim, it is primarily used to gather any information that can be used to devalue your claim. Never submit to a recorded statement before you have spoken to an injury attorney. Talking about your injury claim. It is generally not a good idea to discuss your accident with anyone (other than your attorney) while your case is pending. This includes posting about the crash on social media, giving too much irrelevant information in calls or emails to an insurer, or even discussing the accident with friends (since they can be called as witnesses if your case proceeds to court). Canceling follow-up appointments. If you fail to attend all of your medical appointments or do not follow your doctor’s recommended course of treatment, an insurer may use this as proof that your injuries are not serious. Accepting a fast settlement. Insurance companies may offer a check for a few thousand dollars in the day after the accident, hoping you will accept it out of necessity. However, accepting the first payment you are offered may result in the inability to seek any future payment, even if your injuries get significantly worse. Waiting too long before speaking to an attorney. All states have limits on the amount of time that can pass between an injury and the date a victim seeks compensation. For example, victims have only two years from the date of the accident to file a personal injury lawsuit in Illinois. While this may seem like a long time, many victims attempt to deal with their insurers one-on-one for many months, finally filing a lawsuit when they cannot get the compensation they deserve. If you are having trouble recovering after a car accident, our injury attorneys have offices in Illinois and Missouri to advise you on your next steps and legal rights. Download your FREE copy of one of our books, When the Rules of the Road Get Broken: A Guide to Illinois Car Wreck Cases or The Missouri Car Crash Guide: Don't Wreck Your Car Crash Case! and contact The Tapella & Eberspacher Law Firm via our online contact form to schedule an appointment.